How to Change Your Hostname/Computer Name in Ubuntu Linux? You are here: Home / How To / How to Change Your Hostname/Computer Name in Ubuntu Linux? In this tutorial I have changed the hostname from “praveen-LIFEBOOK-AH532” to “MacBook”. 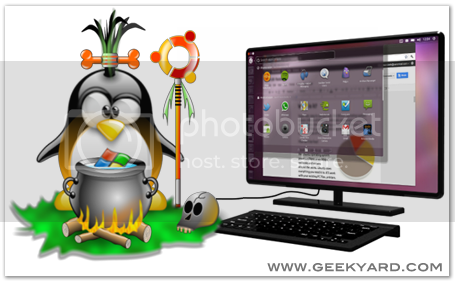 Simple follow the below instruction to change your Ubuntu operating system hostname. Note: If gksu is not installed it will ask for installation. Just enter your system password to install gksu. 4. This command will open a text editor file. 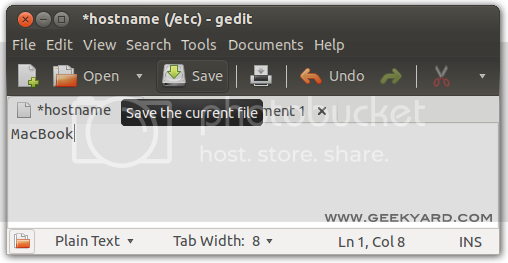 Edit your hostname and click Save(Ctrl+S) button. 5. Restart your computer to see changes in hostname.